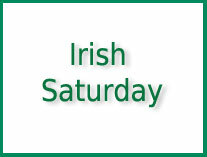 Welcome to the Irish Genealogical Society International website! 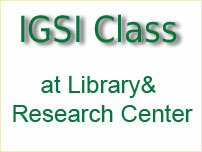 A big thank you to those who visited the IGSI table on Saturday, March 30, at the Open House! About 400 people walked through the doors of the Minnesota Genealogy Center that day -- attended classes, toured the library and visited with the all the groups who share space at the Center. Minnesota Genealogy Society celebrates 50 year anniversary this year. 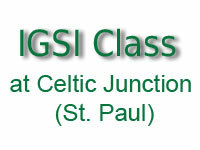 IGSI celebrates 40 years. CJAC is celebrating its 10 year anniversary, and will be throwing an Irish Hooley on May 4 to celebrate. 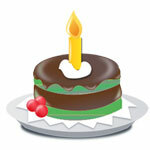 IGSI celebrates our first year in our new web home! We launched our new website in early April, 2018. The Irish Genealogical Society International is pleased to announce that the Westin Chicago North Shore Hotel (601 N. Milwaukee Ave, Wheeling, IL, 60090) will be the site of the Celtic Connections Conference on July 31-August 1, 2020. Offering the 2020 conference in the greater Chicago area opens this genealogical experience to more Irish and Celtic family historians in the Upper Midwest. This 2020 event, co-sponsored by the Irish Genealogical Society International, Inc. (IGSI) and The Irish Ancestral Research Association, Inc. (TIARA), will be the fourth biennial Celtic Connections Conference. The first three – 2014 in Boston, 2016 in Minneapolis, 2018 in Boston – received rave reviews from participants. 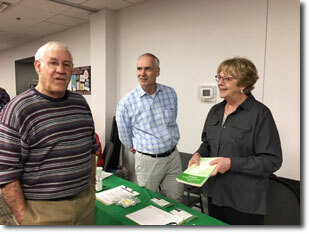 Impressive rosters of international and U.S. genealogy experts provided valuable guidance on topics related to Irish/Scots-Irish/Scottish/Welsh ancestry. Save the date (July 31- August 1, 2020) and start planning now to attend this exciting conference! Watch for future announcements as the 2020 speakers and conference events are confirmed. In the meantime, visit the conference website (http://celtic-connections.org/ ) to read about the 2018 event and to sign up for our mailing list to receive additional conference announcements automatically. Registration will open in early 2020. Did you discover a cousin you did not know you had? Do you have a story to tell about making a connection through our Surname Interests tab? Have you entered all the surnames of your Irish or Scots-Irish ancestors or do you have just a few more to enter? We are so close to 500 Surnames! This April will be the one year anniversary of our new website, please enter your ancestral surnames. Reminder: you will need to log-in and enter the information on your Profile Page. Click Surname Interests to enter your ancestral family surnames & connect with others who are researching the same surnames. Reminder: Members must log-in to access past issues of The Septs. Click Research for Services, Guidelines, and Resources providing information on Irish Counties, maps, links to other websites, and our searchable data collection. This is only a wee bit of the many resources on our website to help your genealogy research. Members can now access all past issues of Ginealas by clicking this link. Reminder: When we moved to our new website members received a new user name & password in April 2018. See Member Login at the left.